South Africa is well known for its cultural diversity and your art gallery has played an important part in that. South Africa is well known for its cultural diversity. The variety of traditions and influences that gel together in this newly united nation has given rise to an outstanding art scene that seems to be growing stronger by the day. Depending on how long you have been in the art business as a gallery owner, you have seen first-hand how groups or whole generations of South African artists have established themselves. You’ve likely played a pivotal role in some of these artists careers and lives. Today, with many memories and successful art exhibitions under your belt, you are thinking about selling your art gallery in South Africa. Here is your guide to help you sell your gallery successfully. Is it the right time to sell? The South African art gallery scene is rich and bustling. It’s top names and locations are traditional and modern, long-established and up-and-coming in equal measure. The sector is quite active, and there is no shortage of captivating local and international artists eager to put their work on display. Particularly in the modern and contemporary art scene, a hard-working gallery is worth a lot. Therefore, the timing of your art gallery sale looks quite auspicious now and for the foreseeable future. If you are thinking about cashing in on your well-earned reputation in the art world, now would be a good moment to jump on the right opportunity when it presents itself. Naturally, your art gallery is worth much more to you than the value of its bricks, amenities, and spaces. If you have been around for a while and if you have lasting relationships with popular artists as well as the power to attract rising stars, your gallery holds considerably more value than the building alone. If your relationships are solely your relationships, however, they will hold no value when selling your business. A pivotal part of preparing your gallery for sale is to ensure that any contacts, suppliers or artists who like to stay loyal to you, stay loyal to the gallery when you pass the baton to someone else. So, make sure that you evoke confidence in the sale and who you are looking to pass the business onto. Another valuable factor is the amount of art your gallery owns and how much of it you are willing to pass on. If you are the owner of a particularly popular piece of art that consistently attracts new visitors, this can play strongly in your favour during price negotiations. The same goes for the foot traffic your gallery attracts - the more eyeballs, the higher your asking price can be. How to choose the right buyer? Letting go of your creation can be quite challenging, so it helps to know you are passing it on to a reliable and caring new owner. Especially in the art world, what matters is your legacy, the direction your art gallery will take under the new leadership, and the artists who have been loyal to your gallery throughout the years. It makes sense to look for a buyer with similar artistic taste, creative vision, and business drive. You do not necessarily have to search for the younger, hungrier version of yourself, but make sure they share your artistic sensibilities and passions for the job with any buyer whom you consider seriously. 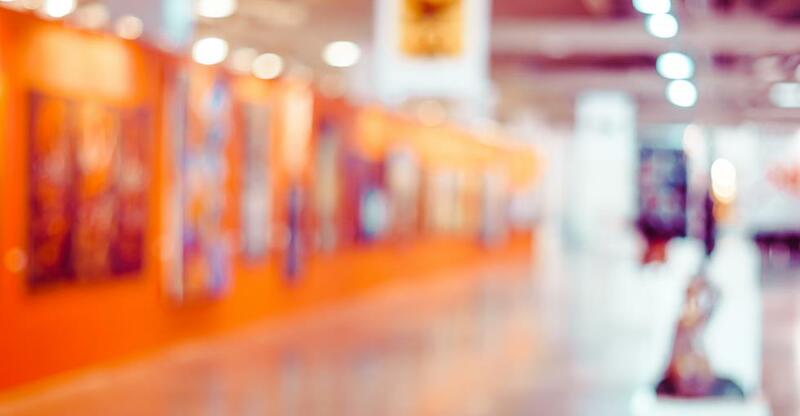 In addition, running an art gallery entails a wide skillset with many daily tasks to make sure the potential buyer is capable of carrying them out. Once the sale is certain, you should take care of informing loyal visitors, suppliers and other business partners, and your insurers of the upcoming changes. Consider introducing the new owner to all relevant stakeholders prior to the sale. The smooth transition, open communication, and relationship maintenance will help keep your art gallery successful under the new management and ensures that it obtains its value once you have left. Selling your art gallery in South Africa is a challenging yet rewarding task. It is an opportunity to reap the benefits of your hard work and to continue supporting South Africa's vibrant art scene.